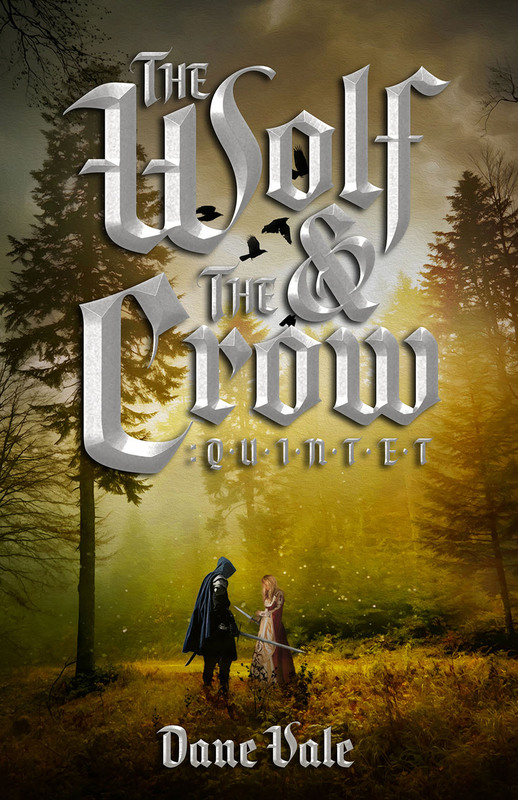 THE WOLF & THE CROW: QUINTET features four short stories and one novella of Farys, the wandering, vengeful Wolf Knight, and Sibyl, the renegade witch-seer of Mandria. Following their first encounter (“The Wolf & The Crow”), to both of their origins (“Upon a Field of Ruin” and “The Whispering Trees”), the tales find them traveling through the mystical land of Irth to tangle with a demonic mercenary prince and his minions (“A Sordid Tale”), and across savage wastes against relentless Unhuman adversaries (“The Reckoner”). The QUINTET gives fans of Sword & Sorcery a glimpse into a larger realm, immersing them into Farys and Sibyl’s world, and their grand adventures awaiting beyond. Dane Vale lives in Chicago, where he conjures up Sword & Sorcery and Fantasy fiction when he’s not relentlessly critiquing his twin brother’s writing. He owns at least one spear, dodges drunk texts from Dionysus, and believes that there need to be more megaliths in America. He cooks Italian food with verve, and has a totemic spirit-bond with wolves and crows. His favorite cities are Knossos, Carthage, Constantinople, Venice, and Paris. 5.0 out of 5 stars a book I really love. A pocket gem: five natty stories, all cleverly linked together, out now from Nosetouch Press. It reminded me of George R R Martin’s ‘A Knight of the Seven Kingdoms’, a book I really love. The first tale, ‘Upon A Field of Ruin’ establishes us firmly within the realm of epic fantasy. It has a cracking opening, exactly the kind you need to establish enough dramatic tension to see you through the whole of five tales. King Conrad of Conradia has just died fighting on the walls of Ravenia, defending his capital from the Manticore. Since then, the enemy has surged towards Foxbridge, home of Lord Hadryn and his sons, sending a wave of refugees fleeing ahead of it. The older Hadryns ride into battle against the Grey Horde, leaving young Farys itching to join his brothers and father in driving off the beast. With his father and brothers fallen, it’s for Farys to step up, but before that a strategic withdrawal to regroup is required. Farys’s mother has been captured alive after throwing herself from the walls of Foxbridge. His quest to free her, and recover his home and birthright from the invader, will be no small task. First, the plucky lad has to train as a knight, but being dubbed a knight by his companion Sarithea is as good a place as any to start. The four subsequent tales take us to Mandria, with feisty thirteen year old Sibyl, then it’s on to the mining town of Barrow to we catch up with Farys. After that, we’re in the Glass Desert with Sibyl and Farys in ‘The Reckoner’. Finally, the Manticore himself awaits in Baselika, providing an altogether darker point of view. The first tale really drew the reader in and the pace didn’t slacken in the subsequent stories. A regular injection of fresh characters facing new dangers kept my interest right to the end. I loved the effortlessness with which the five tales knitted together, too.